What a park! Originally called Greensward, it is Central Park, New York City; 750 acres, commissioned by the New York State legislature in 1853. By 2017, it had everything – almost. 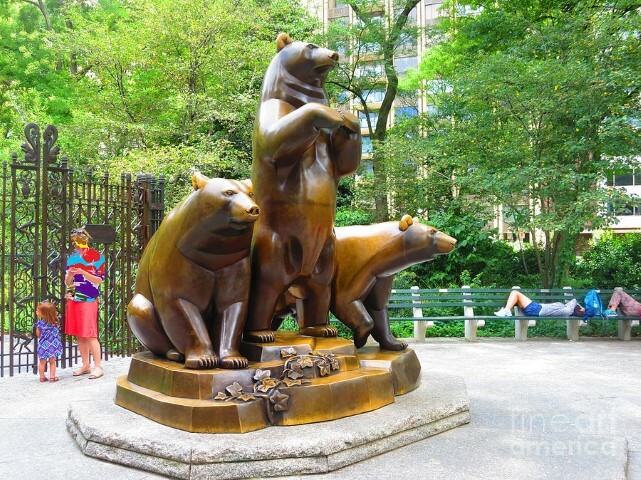 To let people know where they were in the park, 21 gates were designated. To avoid competition, in 1862, the Board of Commissions decided to name them after groups – the Scholars’ Gate, Boys’ Gate, Girls’ Gate. 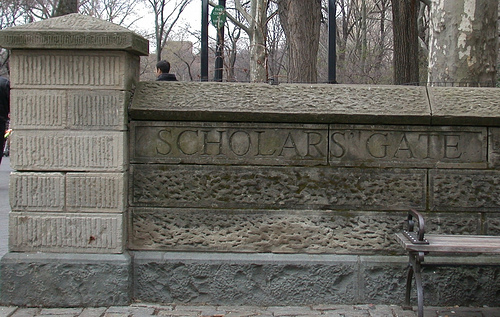 In 1999, formal inscriptions were added to the gate sites. The park has statues, busts, fountains, memorials, benches. They feature artists, poets, writers, politicians, kings. 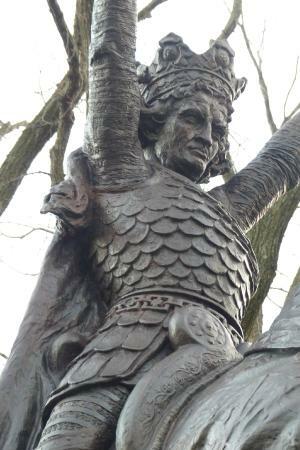 Even Poland’s Wladyslaw II Jaglello has a statue. The ones that are of real people who actually lived are all – 100% – of men. There are animals, dozens of them, from bears (dancing and not) to cougars to eagles to monkeys. Even a kangaroo. There is a real dog, Balto, the sled dog who got the serum to Nome to save the children in 1925. 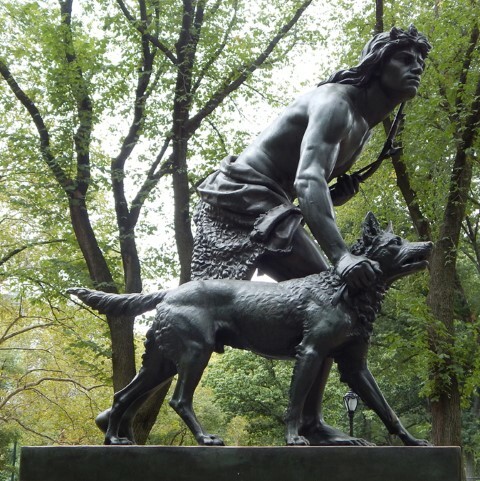 There are generics – Pilgrim Fathers, a young Native American male hunting with his dog. There are fictional girls – Juliette with Romeo, Alice from Wonderland, Mary and Dickon from the Secret Garden. All of them teenage or younger. But what there was not, until 2018, was a real woman. Now, there are two. 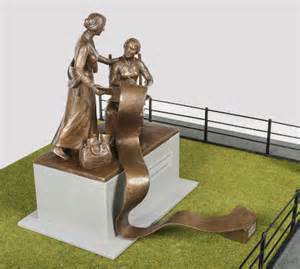 The sculpture honoring Women’s Suffrage, created by Meredith Bergmann, features two of the early giants of the movement, Elizabeth Cady Stanton and Susan B. Anthony. 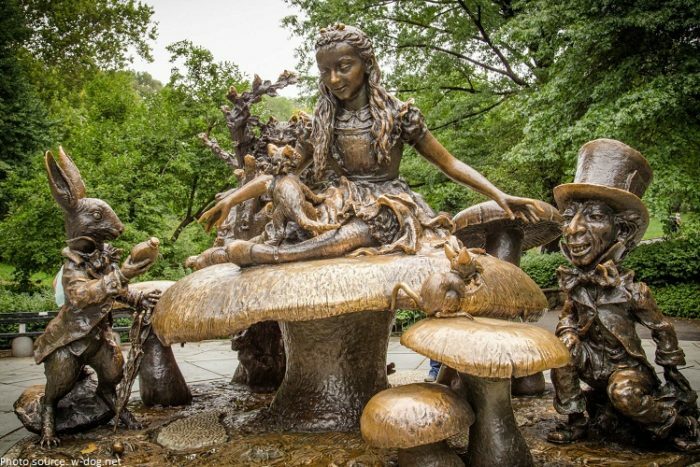 It was erected in the park in the summer of 2018 and will be officially dedicated in 2020. May there be many more! When I was growing up there was a saying: “The only time your name should be in the paper was when you married and when you died.” So in a sense those 1853 builders were protecting women from infamy — but who thinks that way today? The Stanton/Anthony monument is a good thing and about time!